Hemp oil has uses that benefit both health and beauty. Produced from the hemp plant, this oil can aid in providing your heart with good fats, moisturizing your skin and soothing inflammation of painful joints due to degenerative ailments. Regenerative Nutrition, creating innovative natural health products since 1994 claims, "Hemp seed and oil has been called 'Nature's Perfect Food for Humanity'--a wealth of health for everyone." Purchase cold pressed hemp oil from your local health food store or green grocer. Cold pressed hemp oil remains more well-preserved when exposed to light and oxygen, thus the oil's benefits will not deplete as fast in these elements if it is cold pressed. Pour one or two tablespoons of hemp oil into a mixing bowl. Next, add one tablespoon of vinegar. Balsamic or red wine and pomegranate vinegars, have nice flavors that complement hemp oil. Cut a fruit of your choice in half; lemons and oranges add a nice flavor to dressings. De-seed the fruit and squeeze the juice into the mixing bowl. Add herbs of your preference such as Herb de Province, or rosemary and basil for an Italian flavor. Experiment with different combinations. Whisk the mixture with a fork, until well blended. Then pour over salads or use for dipping breads. Add fresh chopped tomato and onion for a quick bruschetta to top crackers or breads. Exfoliate your skin in the shower with a loofah sponge or scrub brush. Hemp oil can also bring shine to your hair. Add a dime size portion to your shampoo for extra shine and rinse. Towel dry your entire body, or air dry if you like, but skin should be dry before the application of hemp oil. Pour a small amount of hemp oil into your hand and rub into your skin, as you would your usual moisturizer. If you have achy joints, pay particular attention to those and lubricate the joint well. 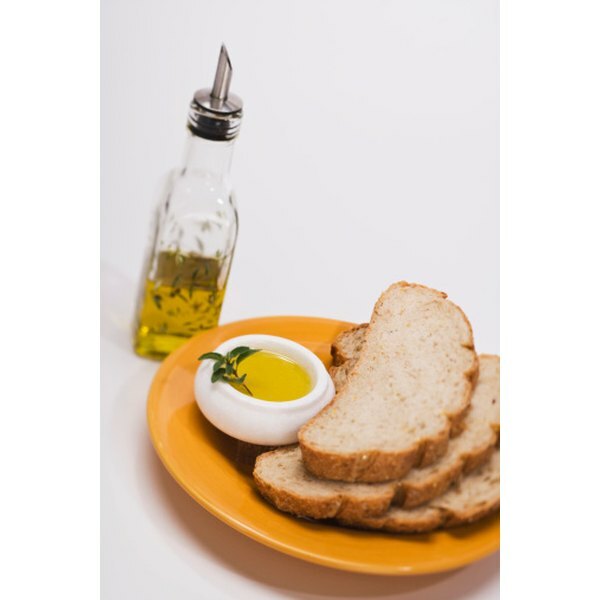 Hemp oil can also be used as a substitute when making mayonnaise or other dressings and dips. Hemp oil is not recommended for frying, as this can deplete the nutrients. Are There Foods to Eat to Reduce Oily Skin?